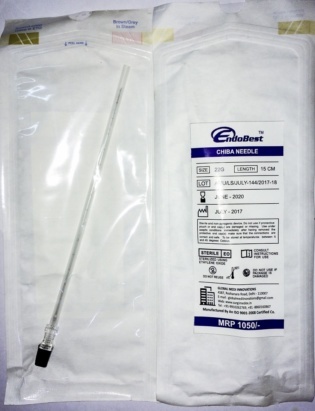 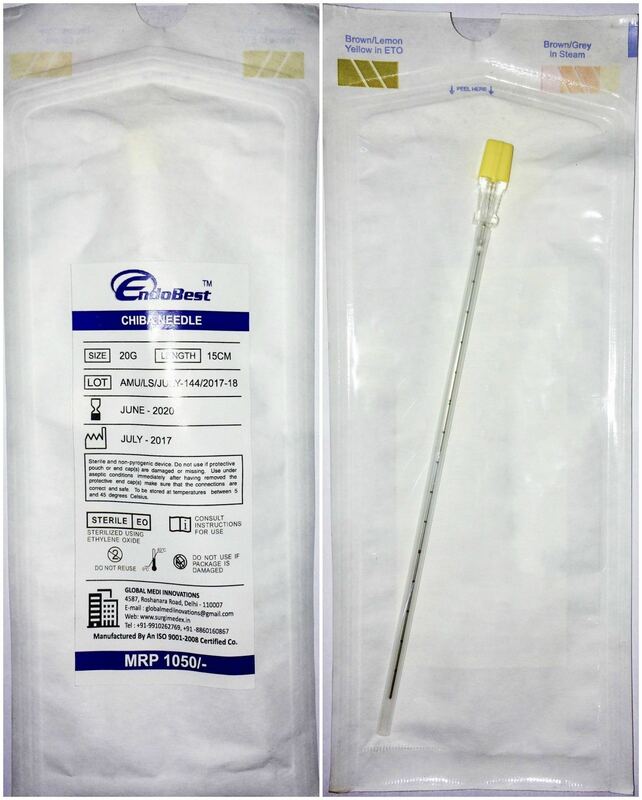 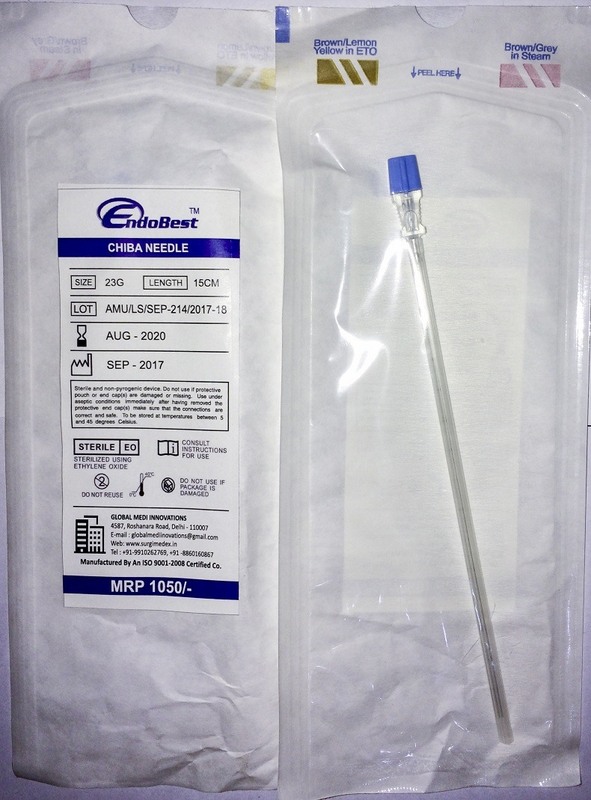 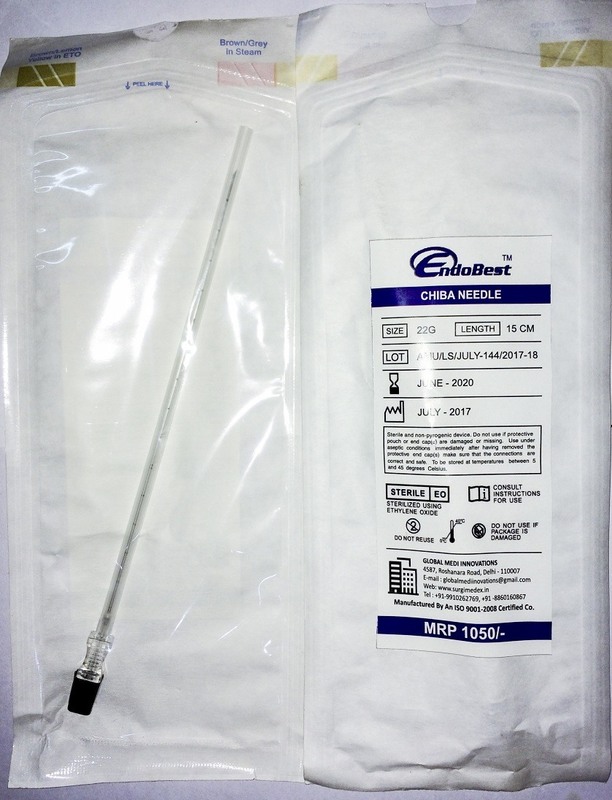 Chiba tip disposable needle used for cytological aspiration and local anaesthesia administration. 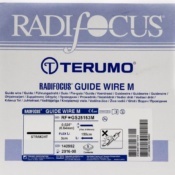 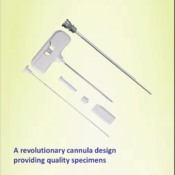 The needle cannula is centimetre marked in order to make the procedure as precise as possible. 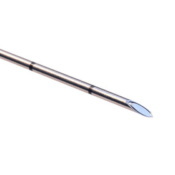 An echogenic marker is placed on the distal part of the cannula. 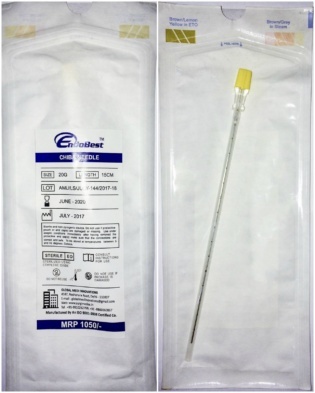 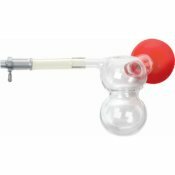 By using an ultrasonic machine, the marker enables the needle to be constantly seen during the whole procedure.